Recnetly I have open Saving Account in Syndicate Bank. I also get Internet Banking ID and Password. I want to know the procedure to check Online Account Balance. So do you know What is procedure to check Online Account Balance of Syndicate Bank? 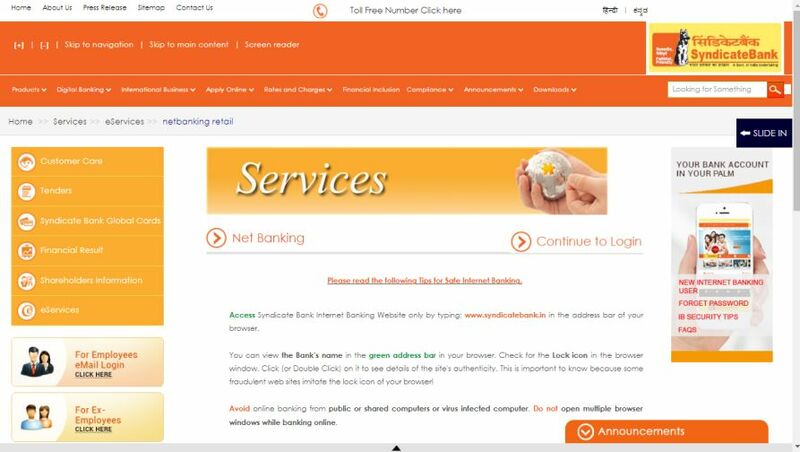 The Syndicate Bank offers Internet Banking Service for its customers. Customers can check Account Balance online by this Service. Firstly go on Homepage of Official Website of Syndicate Bank. 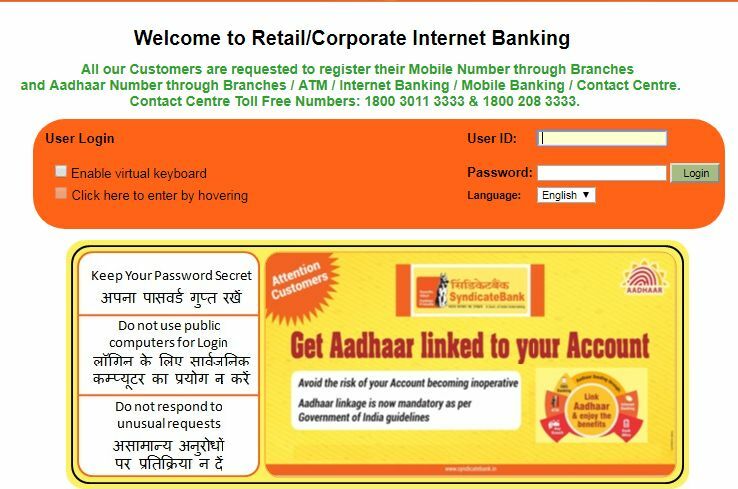 There will be a link for NET BANKING in left middle side on Homepage. Enter User ID and Password and access account Online. You can check Account Balance, Pay Money etc facilities.